I wrote this over a year ago, in a fit of frustration, as a self-taught freelance Assistant Editor who learned things job to job. I’ve worked on shows for the Discovery Channel, A&E, MTV, Bravo, etc. I never went to school to learn how post production works. 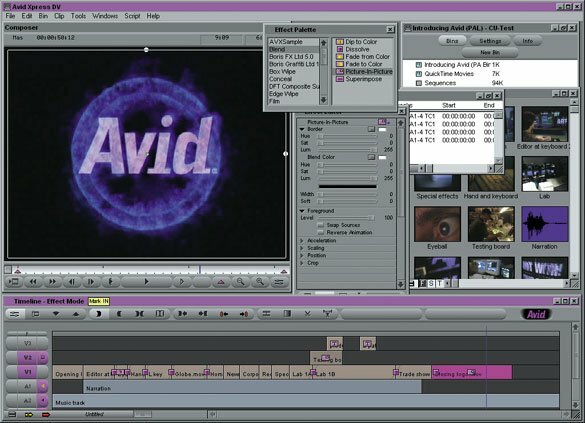 In the beginning, it annoyed the crap out of me that I could not find a comprehensive step by step process of preparing a sequence in Avid for uprezing. so, for anyone who cares, I am sharing the process that I use to prep for online. Step 1 – Immediately make a duplicate of your finished sequence. Use this duplicate for your decompose. Step 2 – Create a bin called “Decompose” or whatever you want to call it, then put your sequence copy in there. Make another copy of it and in that copy, lift the audio. Decompose your sequence. Step 3 – By default it should sort your clips by tape but if it doesn’t, sort your clips by tape. At the bottom of the bin will be the clip references to all your imported media like photos and backgrounds. Now you are ready to up rez your video. Highlight all the clips you want to re dig at a higher resolution. In my experience, its better to do tape by tape, instead of all the clips in the bin. The reason for this is in case anything goes wrong, its really hard to stop a batch digitize and sometimes Avid will crash, and then you weren’t able to save the work already dig’d, and you have to start over and you want to cry and kill yourself. So, better to do a batch dig for every tape. Saves you the heartache. Tip: I always batch digitize with handles because no matter what, there will be slips, so might as well have those extra frames to work with. Step 4 – OK! Batch digitize done. Now the media in your sequence should all be at the proper up rez setting. Make sure your bin headings have the “video” column to always check this. Step 5 – Go into the quick menu hamburger icon on your timeline and change the color to recognize items that are offline. That way you can see that your TITLES, GRAPHIC IMAGES, BACKGROUNDS, ETC ARE STILL MISSING. They will be red until you recreate. Step 6 – Highlight your entire sequence and then recreate all titles at the proper resolution. I always save copies of the newly rendered titles into a GRAPHICS bin just in case. Step 7 – Re Render your effects. They should automatically be rendered at the right setting. I always throw copies of my newly rendered effects into an EFFECTS bin, and label them according to timecode position in case I have to recreate the effect after fixing a slip or replacing clips in the timeline. Step 8 – So now, your sequence should be at the right up rez setting, your titles should be visible, NO LONGER OFFLINE. now it’s time to re import your graphics/stills/etc. Your pictures and other imported media should now be the only red items in the timeline. Step 9 – Highlight the graphic clips in your decompose bin. Re import them at the correct setting. Step 10 – Now there should be nothing red/offline in the timeline. Time to check for video slips, but first, you need references. Step 11 – Go back to your sequence copy that still has the audio on it. Create two different copies of this sequence – one that is VIDEO ONLY, one that is AUDIO ONLY. highlight each and create a mixdown. to catch slips. Use these guides as your go through the timeline. There are always some slips when a batch digitize occurs and the mixdown reference tracks are key to catching them. Step 13 – Now that you are sure that you have no slips, everything is in sync, its time to add the audio. Put your original sequence in the source monitor and splice in the audio to your newly uprezed sequence. Make sure you have enough tracks, that you have locked tracks, just in case. Everything should be in sync. Step 14 – Do one last check through to make sure that the ref track matches your sequence when it comes to EFFECTS, TITLES, ETC. Step 15 – Remove your video and audio reference tracks. Step 16 – Re Render again in case you made changes to effects. Step 17 – Do one last check of your Title content to make sure everything is kosher (spelling, etc.). Step 18 – Create a backup copy of this sequence and save it somewhere. Step 19 – Watch your sequence on a monitor to make sure nothing looks weird (sizing,etc.) Fix issues. Step 20 – In your final sequence, add your bars and tone and whatever else you need. Make sure anything else you add is at the proper video resolution. Ouput, or create OMF files for color correction and audio sweetening. There instructions are for a basic up rez procedure used by people creating content that would be watched in house or on the web (not yet airable because no color correction has been done yet or audio sweetening) and the primary issue was just video quality. Things always go wrong and I am not in the mood to address common tech issues. Just make sure your deck is properly connected to your hard drive, always check for slips, always save copies of your sequence in their various stages, don’t add spacing and bars and tone and crap before you check for slips. Either way, things are going to go wrong. But at least this will help some. If you stumble across this and find my instructions helpful, send a message or leave me a comment! Who knows, you might inspire me to post some more helpful instructions in the ways of the Avid. Thanks a million, just what I’ve been looking for, I work for a college in the UK as technician for their media courses. Been using Avid Xpress HD for a year now without any proper training (too expensive). Only discoverd the 15:1s capture option the other day but could’nt figure out how to recapture at full res until………I found this. So once again big big thanks for taking the time to go through each step. Not sure if it’s really going to be anything the students will have the patience to do, it’s not their disc space and taking stuff away to edit? I dont think so.